For my first TPT creation, I decided to offer up one of my organizational must haves. 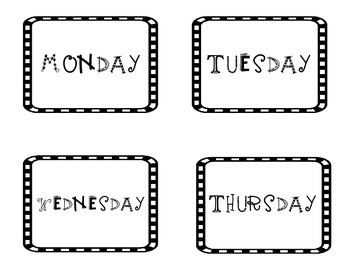 I use these labels for organizing weekly copies, posting the date, as well as flash cards for teaching my toddlers. Enjoy! Please return to see what's to come.